Material: Natural high quality latex. Design & Features: Ambidextrous; smooth or fully textured; beaded cuff; off-white to yellow. 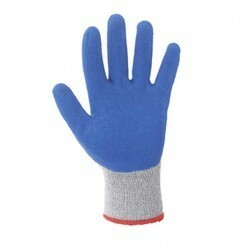 Owing to our in-depth knowledge of this domain, we are specialized in providing 18 Inches Latex Gloves. - We are offering 18' Long cuff Latex Gloves - Non Sterile and Powder Free.